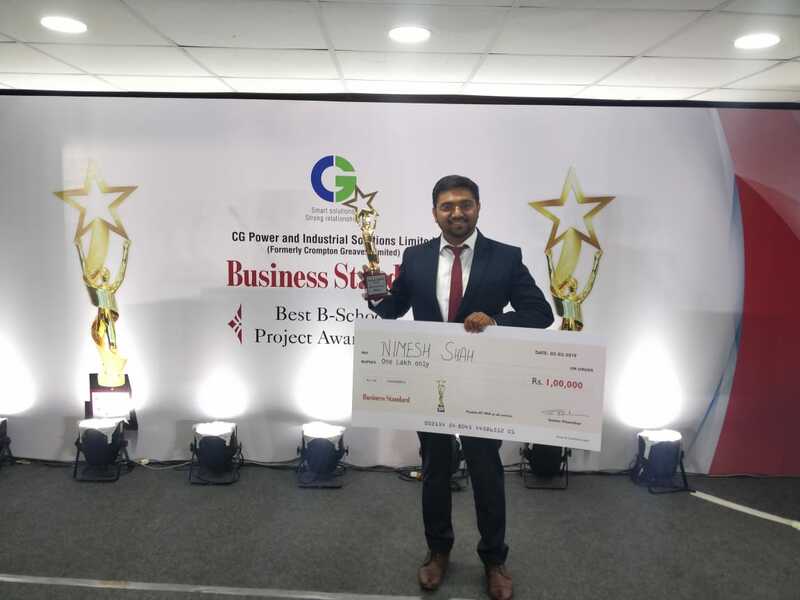 On 2nd March 2019, Nimesh Shah, final year MBA student (2017-19) of School of Petroleum Management, PDPU has bagged the 1st prize in the Business Standard Best B- School Project Award competition organised under the auspices of Crompton Greaves and Indian Oil. Ernst & Young was the official auditor of the contest. The contest spread over 3 months, had 173 entries, had several rounds and witnessed participation from prominent B-Schools including IIMs from all over the country. 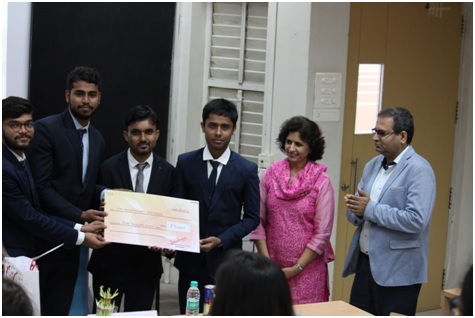 In the ultimate stage, apart from SPM PDPU, teams from VGSOM-IIT Kharagpur, KJ Somaiya, NITIE and IRMA were the finalists. 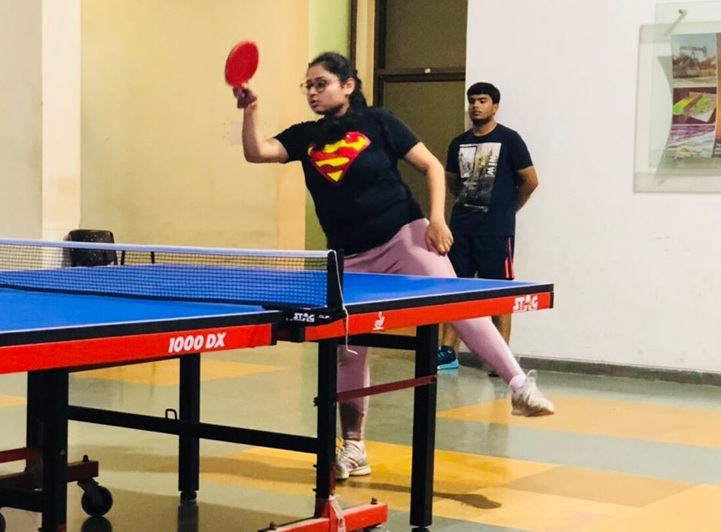 The grand finale was organised in Mumbai on 2nd of March 2019 in which Nimesh beat all these teams to emerge as champion. Please see the attachment photograph of the ceremony. Nimesh presented his internship project on a strategic methodology for deployment of charging stations and mapping charging infrastructure within a city for electric vehicles. 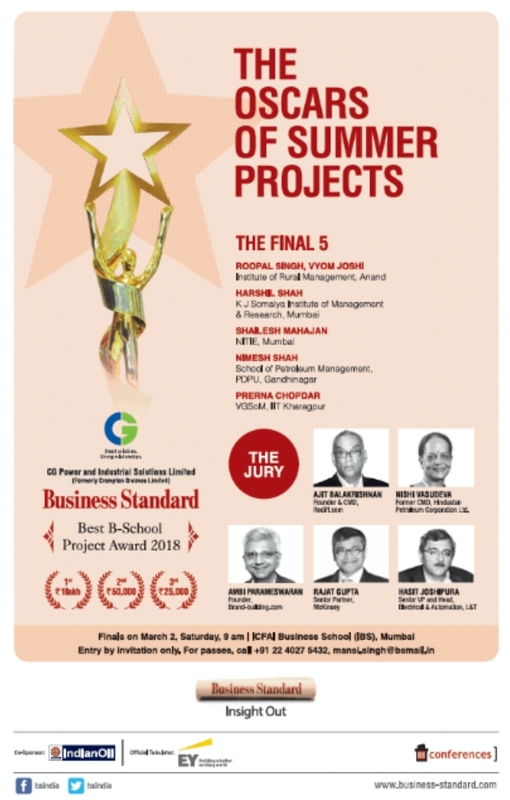 A 5 -member high profile jury comprising CEOs and industry leaders adjudged the pre-final and final stages of competition. Jury headed by Mr. Ajit Balakrishnan, Founder & CEO Rediff.com had Ms. Nishi Vasudeva, Former CMD-HPCL, Mr. Rajat Gupta, Senior Partner-McKinsey, Mr. Hashit Joshipura, Head- L&T Automation and Mr. Ambi Parameswaran, Founder BrandBuilding.com as fellow members. The jury applauded the complexity involved in forming the solution and innovative approach undertaken to solve a real business problem. SPM follows a robust mechanism for Summer Internships which not only helps organisations to identify solutions to real-life business problems but also is extremely helpful in students' industry exposure leading to good placements in industry. fancied first position in RJ Wars at MICAvaani organized by MICA. They made a fun radio show for spreading awareness on cleaniness, judged by Mr. Chirag Tripathi and Mr. Jignesh Vasavada. 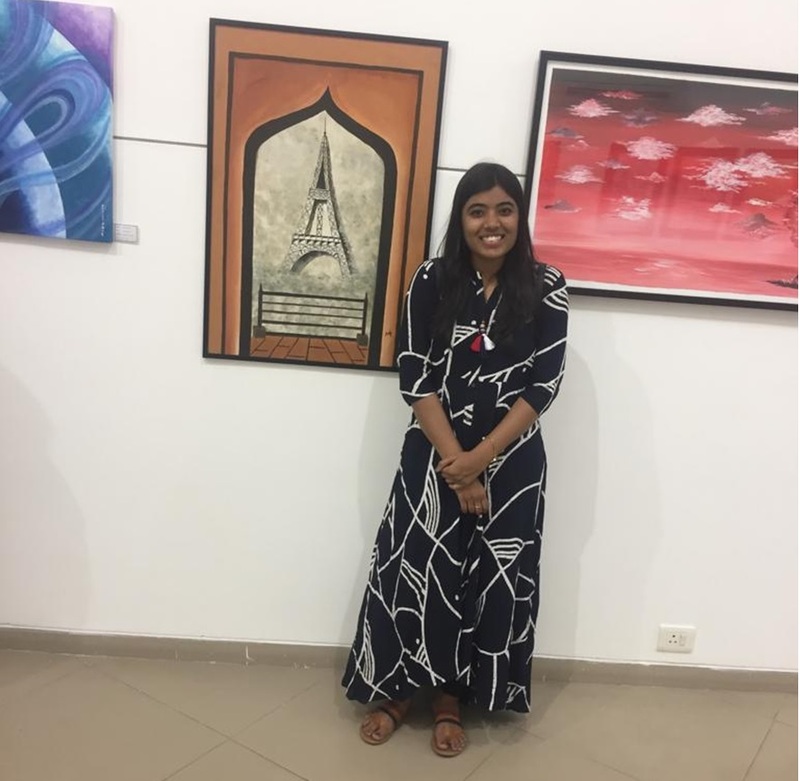 student of School of Petroleum Managenent, PDPU went for an examplary art exhibition- TINTS+SHADES at Kanoria Gallery of Arts organized by Rang- The fine arts club of PDPU. She showcased amazing monochromatic artwork with an expression of monuments in a hybrid statute. Furthermore, her artwork was appreciated by Mr. Nabibaksh Mansoori and Mr. Reventa Sarabhai. 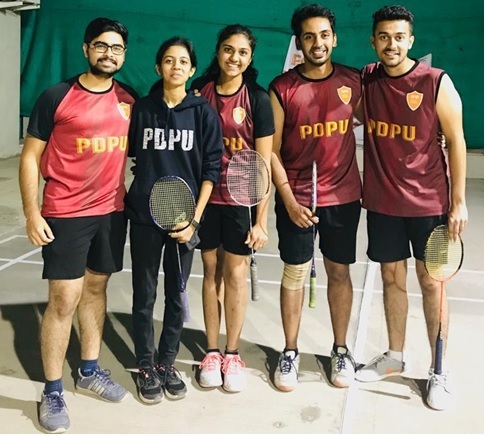 from SPM, PDPU participated in Vendition Vendetta - Atharv'18 by IIM Indore and outperformed Bschools across India to bag their place in Top 20. 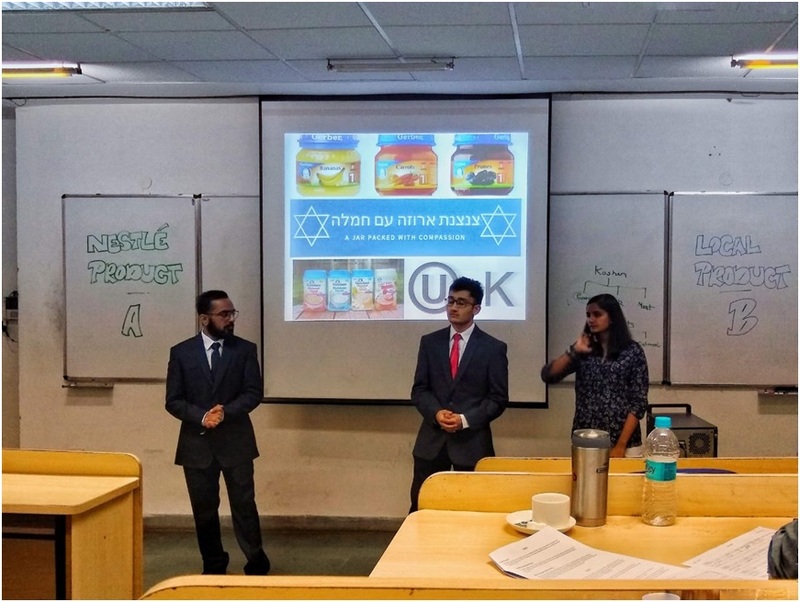 The team displayed unique marketing strategies under the given cases and made it the last case presentation round. 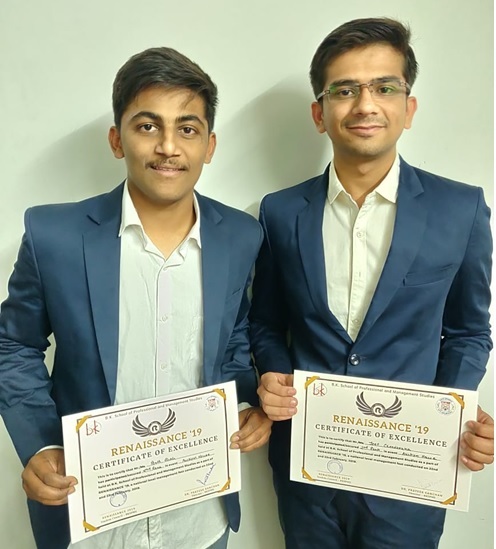 secured 2nd rank in Auction House- Renaissance'18, a bidding competition where you need to hustle your way out with profits from a garage sale scenario. It was organized by B.K. School of Business Management to test the street smart quotient and money management skills of the participants. 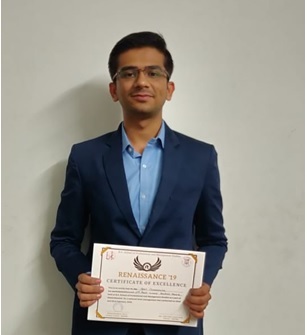 Jeet Chandarana (PGP18), a student of SPM, PDPU secured 2nd rank in STOCK WARS at Renaissance'18, B. K. School of Business Management. He marched out with whooping second highest profits made from stocks in a simulated trading platform. Sampatti - A Financial Planning. This was a competition where we were given the profile of an individual and we had to plan the investments to meet the long term goals as given to us. It was very interesting. There was a open ended discussion on the topic of 10% Reservation for the EWS passed by the government in January and its implications. It was very beautiful and engaging. 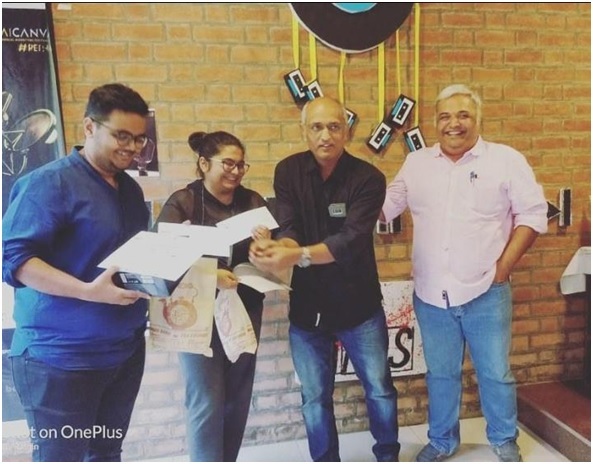 Off the Cuff - This was an extempore competition wherein we were given two topics to speak on. One of them was Data Theft and the other was Should there be more Job Creators than Job Seekers. It was interesting and fun. honor descriptionThe beauty of marketing and selling a product is how well the target customer can feel the product to be of use to him/her. This was a beautiful competition and along with Chirag we enjoyed selling our product (Solar Power Bank) through a short live drama. It was a poetry competition at NIFT's annual festival, SPECTRUM. I dedicated the poem to our nation's martyrs' who are always at the beck and call of the nation. It is titled The Nation's Heartbeat. A national level SIP competition. I won the award for the best communication. There was an article writing competition titled "Analytics in the Energy Industry". The article was based on how IIoT is increasing profits in the volatile oil and gas industry. The competition concerned with the PESTLE Analysis of Nigeria in the Upstream Oil for Gas Sector. Detailed analysis on the same had to be done and substantiated with adequate proof. The competition had a participation of students from various energy institutions from more than 30 countries. Brandomania 18 was a part of the annual event of KJSIMSR, Mumbai "The National Retail Summit". The participants of the event were to Design and Develop a Brand of their own and present it in front of Industry experts in the third round. Our team designed the brand "BIO_Bartan" which was basically biodegradable utensils made out of leftovers of paddy straws.